D'Addario Accessories promise to be the most innovative professional musician’s tools available. Our diverse capo line is no exception. Many of our groundbreaking models are the result of a productive joint effort between famed designer Ned Steinberger and Jim D’Addario. 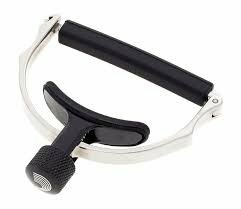 No matter what style of capo you prefer, D'Addario has the capo for you.